Comment: Thousands of people come together to pray over several floors of one of the biggest mosques in the world. 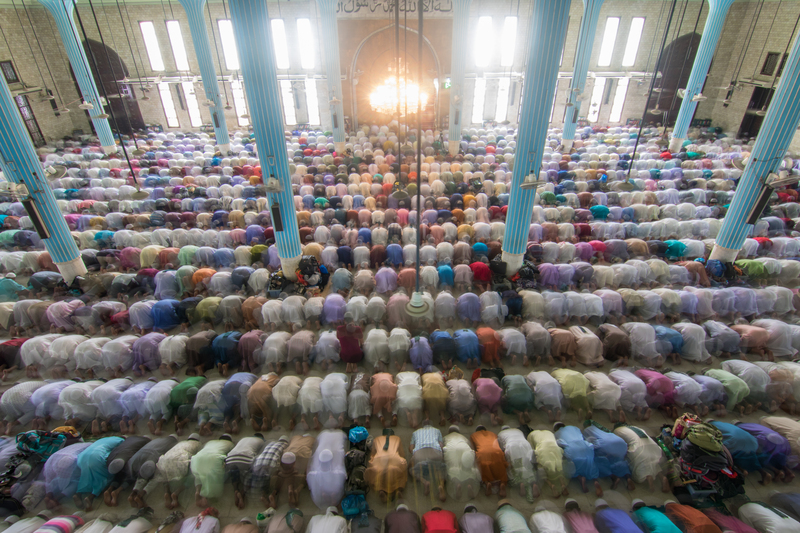 Those taking part in group prayers can be seen neatly lined up side by side as they stand, sit, kneel and bow during prayers. Around 20,000 people were visiting the mosque - decorated in beautiful teal and gold - for weekly prayers. The National Mosque of Bangladesh, known as Baitul Mukarram or The Holy House in English, is one of the 10 biggest mosques in the world and can hold up to 40,000 people, including in the outside open space.